Just over 25 miles east of Holbrook, AZ on I-40 (exit 311). 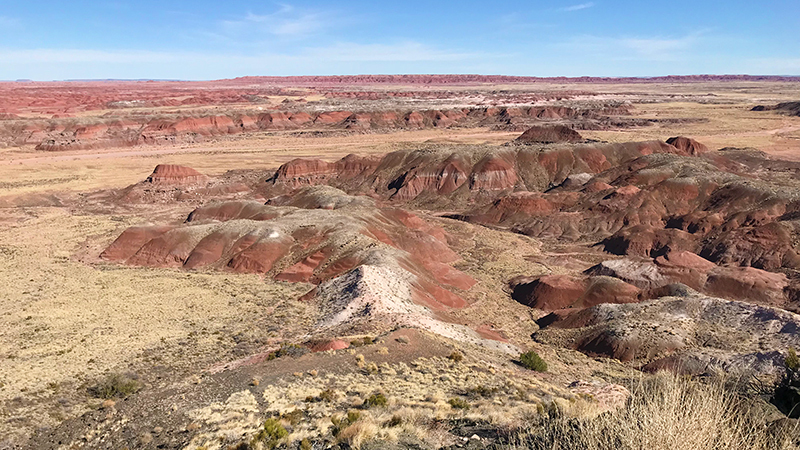 The Petrified Forest National Park is a unique area filled with desert landscapes, archeological, paleontologial, and cultural sites, and most of all, petrified wood. Chinde Point is just west of Kachina Point. Kachina Point is the location of the historic Painted Desert Inn and is the main entry into the Painted Desert Wilderness Area. Hikers and backpackers use Kachina Point as a starting point for treks into an area filled with canyons, cliffs, and complex water drainages. Chinde Point has more parking for large groups such as ours. Start by following directions to the Petrified Forest National Park Visitor Center. From the Visitor Center, pass through the park's entrance gate (there is an entrance fee!) 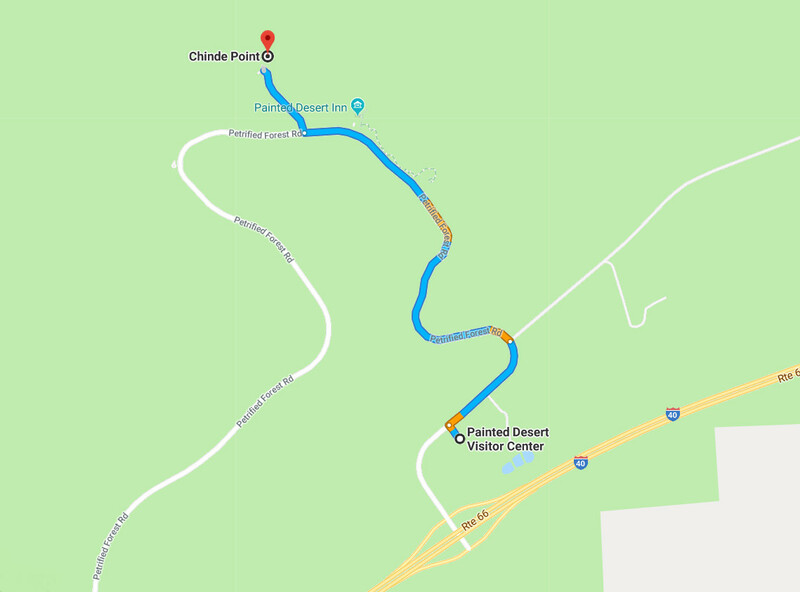 and follow the road 2.1 miles to Chinde Point (0.2 miles past Kachina Point and the Painted Desert Inn).